Virgin Media has told TechRadar that its focus on improving its HD service has not wavered, and that it is the negotiations over which channels will arrive in high definition on the cable platform that is holding things back. The cable company has enjoyed a burst of good publicity for its 50Mb internet service, but is well aware that it is lagging behind on providing HD channels to its television customers. 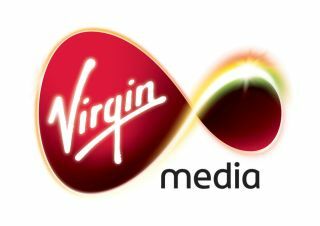 However, Virgin Media has insisted that it is working hard to remedy that, and that its goal of adding three or four HD channels in the coming months has certainly not changed. "With the recent growth in HD Ready households, we're keen to ensure that Virgin Media customers have the most advanced digital TV service possible," said a Virgin Media spokesperson. "Virgin Media customers already benefit from a pioneering on demand service that gives the man incredible range of viewing options and the flexibility to enjoy TV whenever they want. "We're looking to expand this service with more content, as well as increasing our line-up of broadcast HD channels over the next few months. "We are currently in advanced negotiation with a range of content providers about these channels and as agreements are finalised, we will be letting our customers know." Currently BBC HD is the only channel being offered by Virgin, whose HD is built in to the V+ PVR boxes and does not cost any extra. And although HD VOD is well received , the lack of more high-definition channels has attracted criticism. Virgin's promise to add to that solitary channel caused a minor stir, but in the months that have followed the question has moved on to just when those channels will arrive. Some will no doubt be disappointed that the arrival of the promised channels appears not to be imminent, but the complexities of negotiations are obvious. With Sky showcasing how it intends to use IPTV to push through the hole in its service – namely the VOD that Virgin Media does so well – it makes sense for the cable platform to reiterate how it can ramp up its patchy HD service.